It’s a Girl For Khloe Kardashian and Tristan Thompson! Khloe Kardashian has welcome a baby girl with her US basketballer partner Tristan Thompson. The baby, Khloe’s first child, was born this week in Cleveland, Ohio. The birth came in the middle of a private kerfuffle between the couple about claims Tristan was cheating. The reality TV star’s sisters Kourtney and Kim Kardashian were with her during the birth, along with mum Kris Jenner, according to reports. Tristan was also there, despite reports of tension between the couple in recent days because of allegations he cheated on pregnant Khloe. 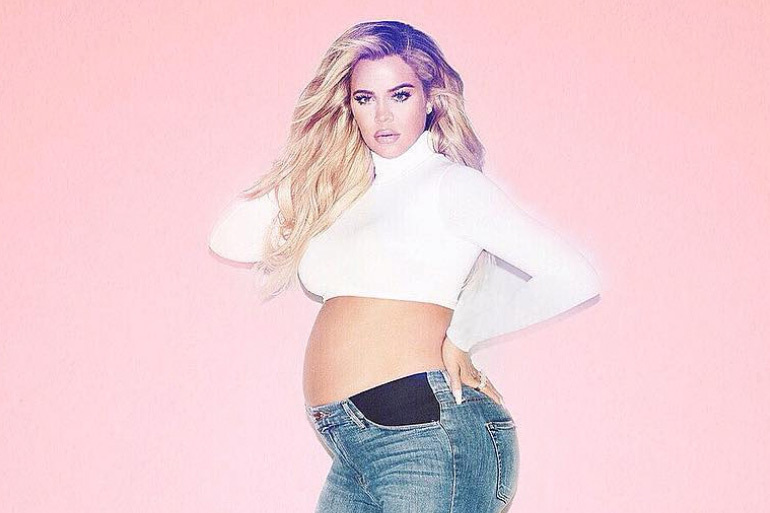 Only days ago, Khloe posted an intimate photo on Instagram revealing the couple were expecting their child any day. Tristan already has a son, Prince. “We are ready whenever you are little mama,” Khloe wrote, embellishing her words with a butterfly emoji. Khloe announced she was having a baby in December, posting a photo on her official Instagram account with Tristan cradling her pregnant belly. Khloe is the third member of the Kardashian clan to welcome a baby this year. Little sister Kylie Jenner had a baby girl back in February and Kim Kardashian welcomed her third child with husband Kanye West via surrogate in January. There’s no word yet on the latest Kardashian baby’s name, but we’ll keep you posted so make sure to follow us on Facebook. Nikki is a former news journalist who used to spend her days chasing shady types around town ... until she had kids and went all soft on the inside. She now spends her days cajoling her kids to pick up their damn Lego and eat more fruit.